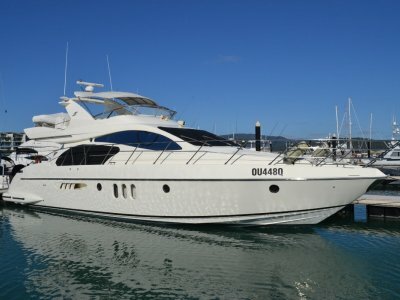 2013 MODEL PRINCESS P60 IN AS NEW CONDITION WITH AROUND 650 HRS ONLY. 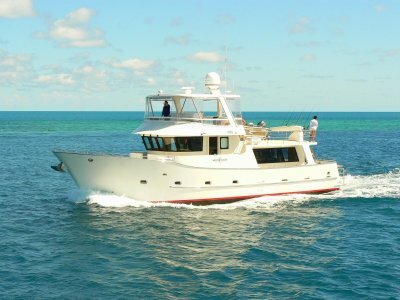 POWERED BY TWIN CATERPILLAR 930HP DIESEL MOTORS, ONAN GENSET, AIR CONDITIONING, WILLIAMS JET TENDER, HYDRAULIC SWIM PLATFORM, BOW AND STERN THRUSTERS, HAND HELD YACHT CONTROLLER. LEATHER UPHOLSTERY. OWNERS STATE ROOM AFT WITH ENSUITE, SECOND QUEEN SIZE CABIN FORWARD WITH ENSUITE, TWIN SINGLE BUNK CABIN TO STB ALSO WITH ENSUITE. RAYMARINE NAVIGATION SYSTEM INCLUDING RADAR. TWIN SATELLITE DOMES WITH FOXTEL. 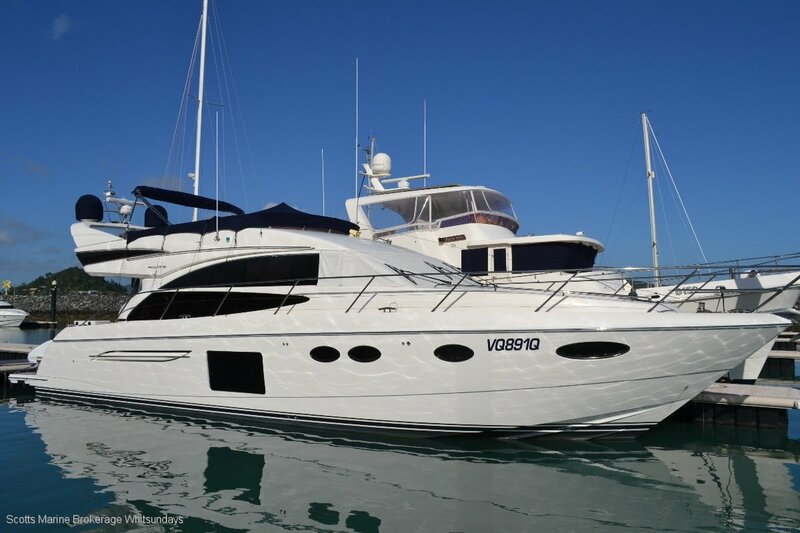 VESSEL FITTED WITH UNDERWATER LIGHTS, BOSE SURROUND SOUND SYSTEM AND MANY OTHER EXTRAS. MUST BE SEEN TO APPRECIATE THE CONDITION THE VESSEL IS IN. 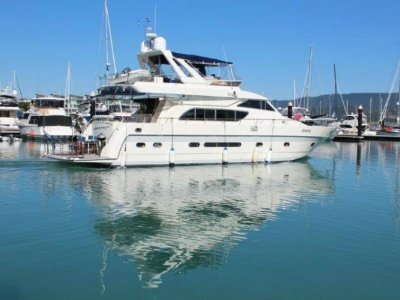 LOCATED ABELL POINT MARINA FOR INSPECTIONS BY APPOINTMENTS ONLY. 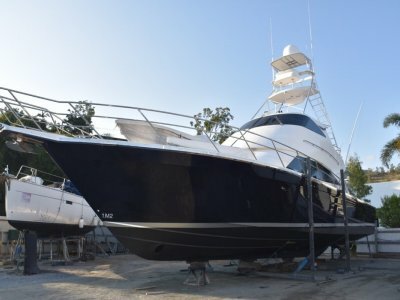 AS NEW TOP CLASS 60 FT LUXURY CRUISER.